Mill Street Brewery are a big thing up here. 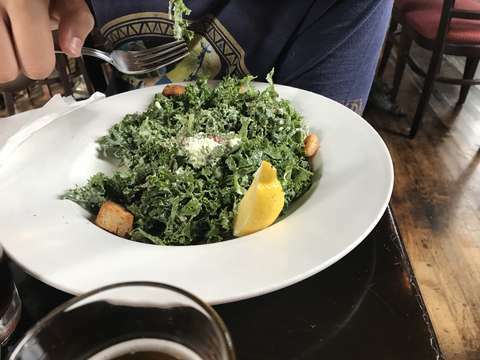 Their organic lager is everywhere, and lots of restaurants have other offerings from them available on draught. 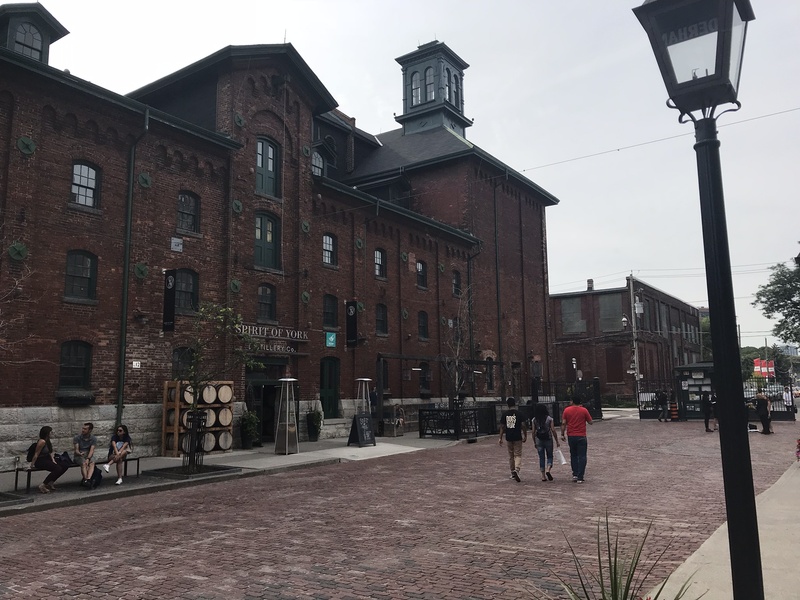 Their main brewery is in Scarborough, but their original location was in Toronto&apos;s historic - and beautiful - distillery district, and when they moved the main brewery to Scarborough, they re-opened the original location as a brewpub. 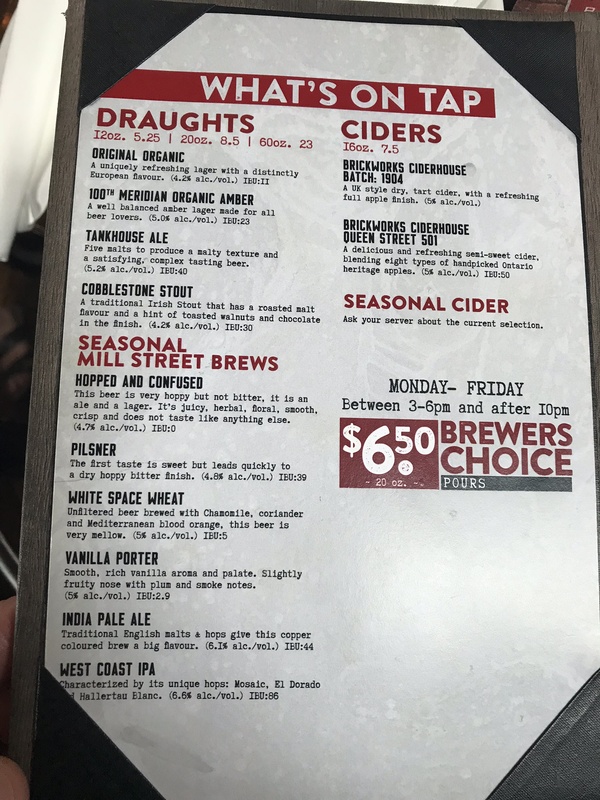 After a slightly disappointing dinner venture the previous evening (see my review of the 3 Brewers Adelaide), I still had the bug for a good brewpub experience, so when I learned about this place, it sounded just the ticket. 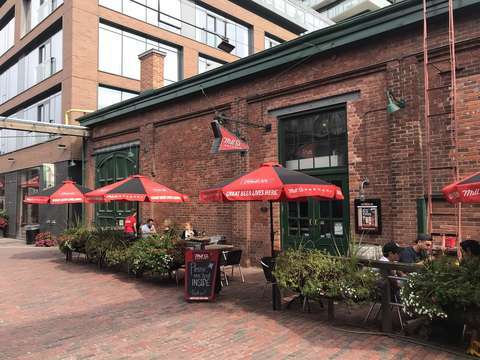 After a bit of googling and a short but frenetic cab ride through rush hour Toronto traffic, we emerged into the quaint and gorgeous historic Distillery District of Toronto, and after a short stroll along cobbled streets lined by red brick buildings, we found our target along Tank House Road: the Mill Street Toronto Brewpub. Now this, this is what the doctor ordered! If the charming vicinity wasn&apos;t scenic enough, this has all the in-your-face vibe of a brewpub. 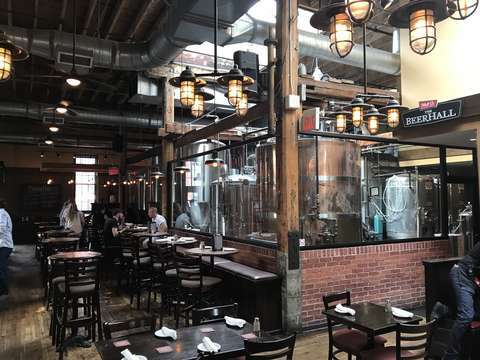 Dark wood furnishings, a large outdoor patio with red canvas umbrellas, and a large glass-enclosed central area with lots of visible and unapologetic tankage: lauter and mash tuns, fermenters and bright tanks. While I suspect the majority of the brewing is actually done off-site at their main brewery, the vibe was authentic, and it was clear that these were not merely ornamental: some actual brewing happens there, clearly, from the workmanlike state of the brewing area. A decent music mix of old (Aretha's excellent "Chain of Fools") and new, enjoyable "buzzed music" droned pleasantly and not-overwhelmingly from well-concealed speakers. Discrete TVs showed a single sports game on all, for those who need their fix of Jays or Leafs, as the season provides. After being seated by a somewhat self-important front-of-house host guy, a friendly and helpful waiter quickly attended to us. They have a huge set of beers available: 4 running house brews, 6 "permanent seasonal" brews - listed as seasonal, but printed on the permanent menu - and 9 "special seasonal" brews - listed on chalkboards affixed to the walls. 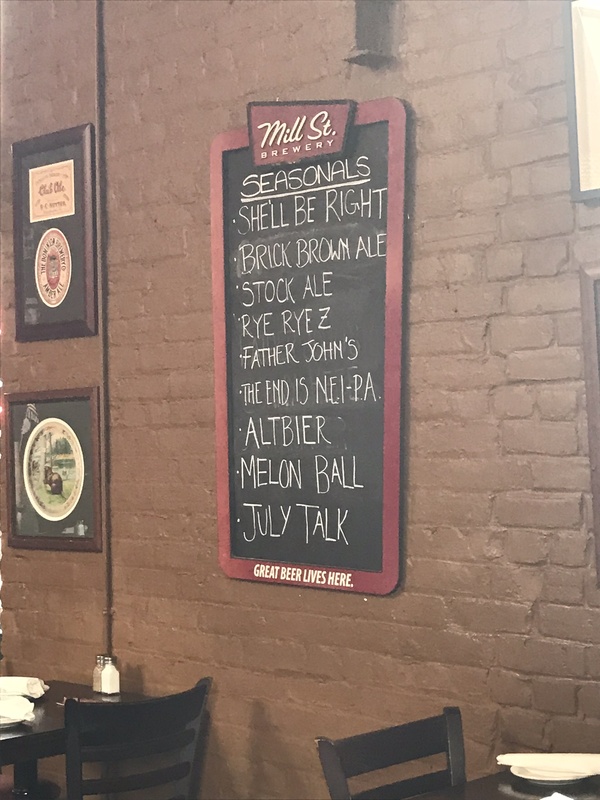 Of these latter chalkboard seasonals, 3 had run out, as had one of their regular seasonals, but even still that&apos;s 15 branded brews available! 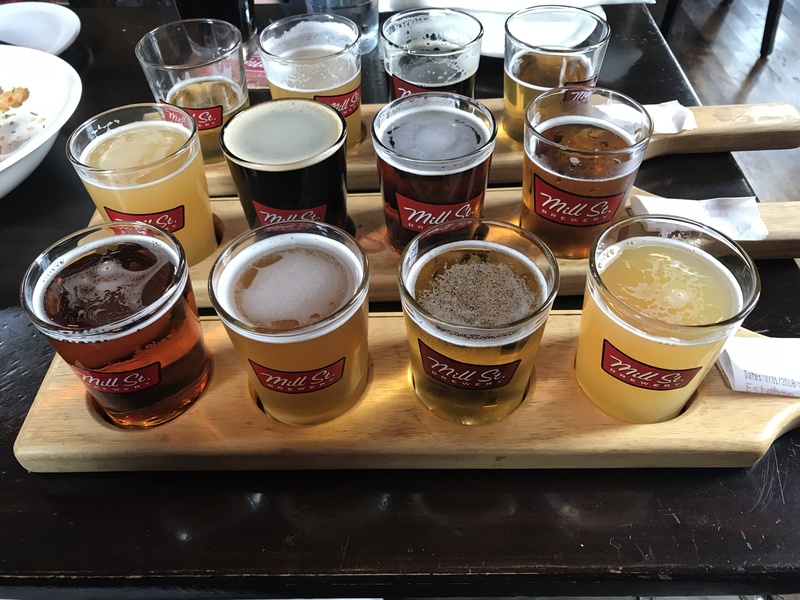 Unfortunately, they only had flights of 4, and in rather large (8 oz) tasters... Why is this a thing? 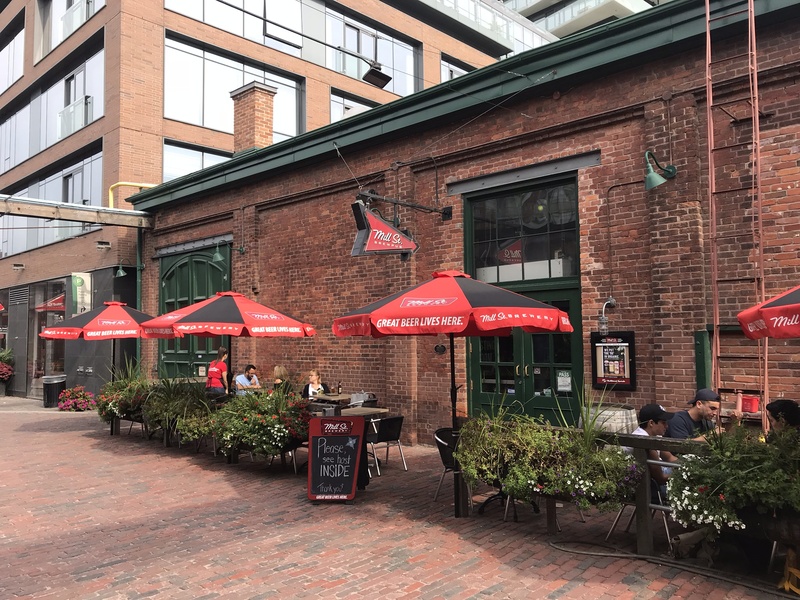 Maybe Toronto doesn&apos;t have the kind of brewing-literate craft brew scene that would inspire wider tasting of smaller amounts, like brewpubs in the states? Regardless, I ended up getting 3 flights of 4 brews, to cover a majority of the brews available, pre-filtering out ones that I was more confident I wouldn&apos;t find to fit my palate. That&apos;s still 96 ounces of beer, and the server looked askance at me when I said I wanted all of them delivered at the same time, until I explained that I brew beer, and would not be drinking all (or perhaps even any) entirely. Once I explained, he understood, and went henceforth with alacrity to serve up the frothy zymurgic quenchables (he fetched the beer). 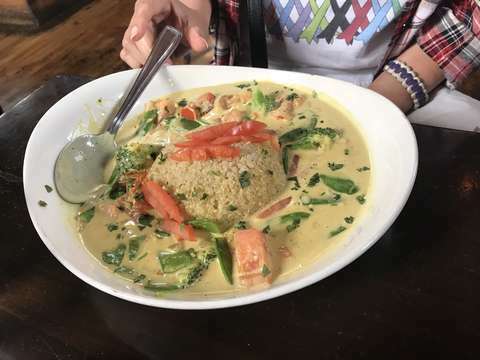 The menu had a good mix of pub fare - both traditional and with a twist - and even a gluten-free item for wifey: a coconut Thai vegetable curry. 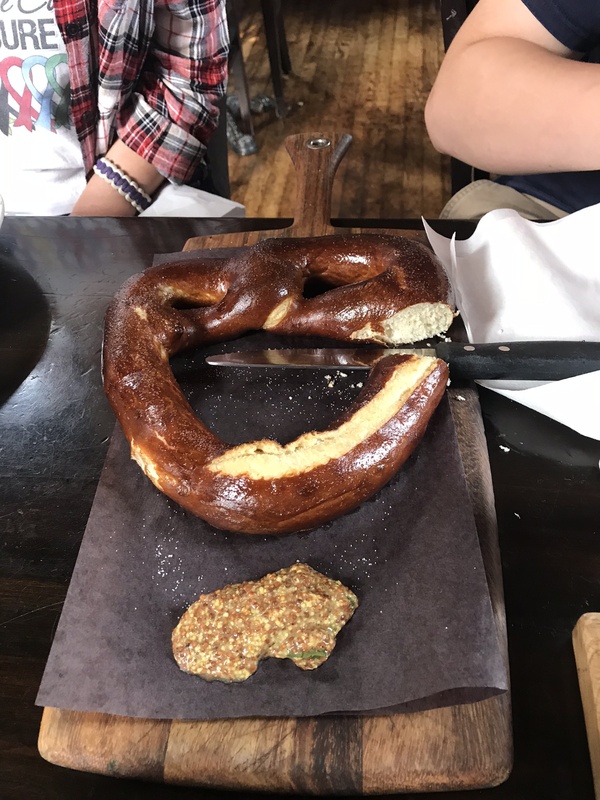 My son got the same thing he had had the night before: a huge pretzel and a Caesar salad, although this one consisted of kale, which he nonetheless surprisingly enjoyed. I decided almost immediately on a chicken and chorizo pot pie. We elected to start with an order of calamari, which was drizzled with a spicy sauce - which I suspect was a mixture of sriracha and mayo - and served with a Thai-like sweet chili sauce. 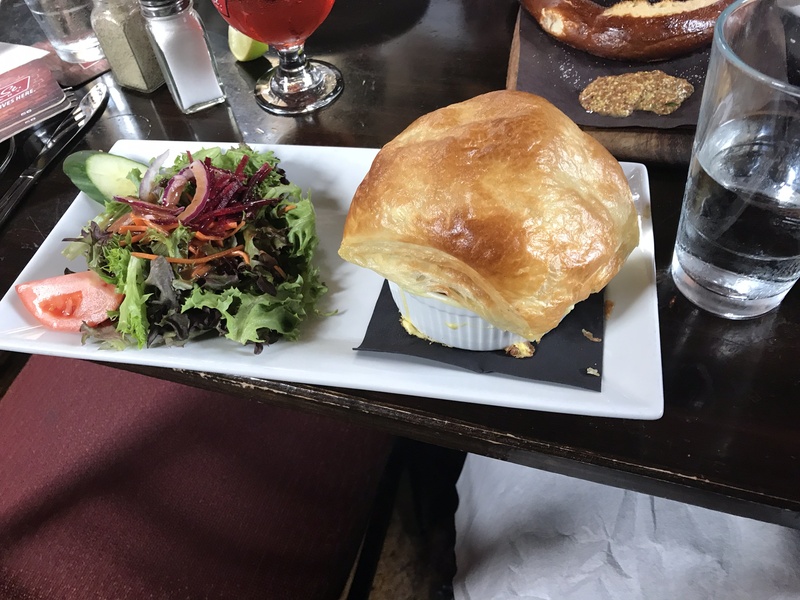 All of this was quite good, the pot pie being excellent, and the calamari providing heat without ruining my palate for the beer. Rye Rye Z - tastes like a cascadian dark, well-hopped and roasty - liked it very much, and loved the name (a play on YYZ)! 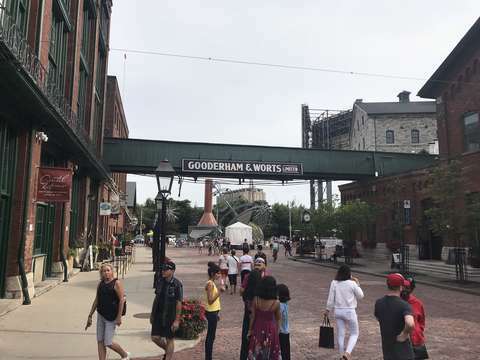 On balance, this was a very enjoyable experience, both from the consumables as well as the ambiance and vicinity. Oh, and the pot pie and Rye Rye Z. I would definitely go back, which says a lot.